Did schooling from St. Edmund's School, Shillong. Obtained B.A. (Hons.) in English from Hindu College under Delhi University. Completed LL.B from Campus Law Centre under Delhi University. Designated as Senior Advocate on 06.09.2010. Elevated as Additional Judge, Gauhati High Court on 07.01.2015. Born on 9th October, 1968, he did his schooling in almost all the states in the north-east. 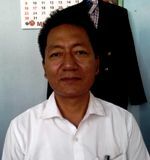 He passed his matriculation from St. Paul’s High School, Aizawl (now St. Paul’s Higher Secondary School) under the Mizoram Board of School Education. Graduated in Arts from St. Anthony’s College, Shillong under the North Eastern Hill University (NEHU) and obtained law degree from Shillong Law College, NEHU in the year 1995. He enrolled himself as an Advocate in the Bar Council of Assam, Nagaland, Meghalaya, Manipur, Tripura, Mizoram and Arunachal Pradesh in the year 1996 and started his practice in the Principle Seat of the Gauhati High Court from the same year under an able and competent senior. He also appeared in the Subordinate Courts, both in the original and appellate side (both civil and criminal), including Boards, District Consumer Forum, State Consumer Commission and Tribunals (CAT, MACT) etc. On April, 1998, he took charge of the Office of the Assistant Advocate General, Mizoram at Aizawl and after a month, he was appointed as the Government Advocate for the Gauhati High Court, Aizawl Bench. On 04.09.2003, he was appointed as the Public Prosecutor for the Aizawl Bench of the Gauhati High Court. Thereafter, on 02.02.2007 he was appointed as the Additional Advocate General, Mizoram in which post he continued till 31.9.2011. He was also appointed as Legal Adviser of the Joint Electricity Regulatory Commission for the State of Manipur and Mizoram. He was designated as a Senior Advocate by the Gauhati High Court on 2010. On 01.12.2010, he was nominated by the Chief Justice of the Gauhati High Court as Member of the North-Eastern Judicial Officers Training Institute (NEJOTI) for a period of three years. He was elected as the Vice-President of the Mizoram Bar Association for three terms viz; 2008-2010, 2011-2012 and 2014-2016 and on 26.08.2016 he was elected as the President of the Bar Association for the year 2016-2018. He is a Life Member of the Bar Association of India. 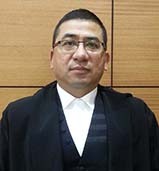 On 25.07.2012, he was appointed as the Legal Adviser of the Mizoram University and on 25.07.2012 he was appointed as the Standing Counsel for the Aizawl Bench of the Gauhati High Court. He was elevated as an Additional Judge of the Gauhati High Court on 15.11.2016. Became permanent Judge w.e.f. 12.11.2018.. Enrolled as an Advocate with the Bar Council of Assam, Nagaland, Meghalaya, Manipur, Tripura, Mizoram and Arunachal Pradesh on 12.09.1990. Had been practicing mainly on Civil, Constitutional, Land Acquisition and Service matters. Was Standing Counsel of Gauhati High Court and Education Department, Government of Assam till appointment as Additional Judge of Gauhati High Court. Was also Standing Counsel of State of Tripura since 2004 till its bifurcation; Member of the Law Commission, Assam and Member of the Indian Law Institute. Elevated as Additional Judge of the Gauhati High Court on 22nd May 2013. Educational Qualification : Bachelor of Arts. Educational Qualification : Bachelor of Commerce. Previous Works: 1) Worked in NEHU Mizoram Campus during November 1984 to August 1990. Previous Works: 1) Worked as LDC under PWD, Govt. of Mizoram about 8 yrs. 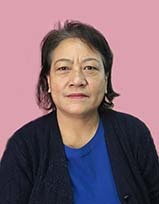 2) As Assistant in the Aizawl Bench of Gauhati High Court since 19.09.1990 to 04.06.2009. Previous Works: 1)Before entering High Court, Aizawl Bench, practices Journalist in Daily newspaper, weekly etc. Some newspaper written as article literally achievement the country. 2) Since 2002- President, All Mizoram Karate Association, General Headquarter, till now. Date of Birth : 21st October, 1982. Educational Qualification : Master of Arts. Educational Qualification : 1) Matriculation, Megahlaya Board. 3) Armed Forces Graduate Certificate. Previous Works: Served in the Indian Navy for 23 yrs as Communication (Telegraphy) and change branch to Naval Police and Regulating. Retired as Master-At-Arms. To view all the profile of present Chief Justice and Judges of Gauhati High Court,Guwahati, click here.